Bethany Cosentino, lead singer of Best Coast, has collaborated with Urban Outfitters Urban Renewal! Best Coast is one of my favorite bands. Not only for their smooth sounds, but because the lead singer Bethany Cosentino has some pretty bitchin' style. And now everyone can be as bitchin' as her by shopping Urban Renewal at UO. 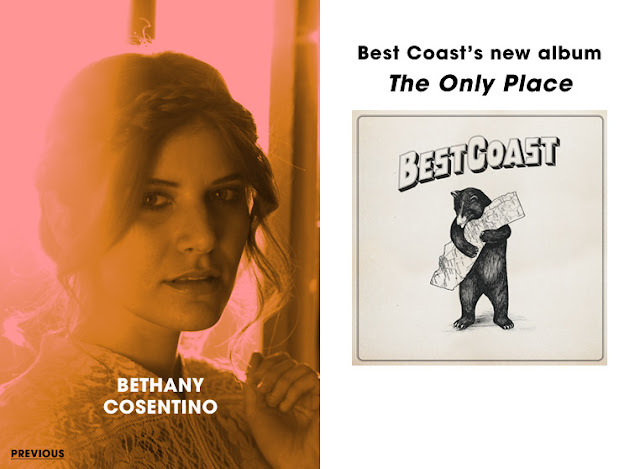 Lastly, don't forget to check out Best Coast's new album The Only Place along with Bethany's Urban Renewal line.